Breast cancer can be of different types, depending on its point of origin. If it starts off in the lobules, it is called lobular carcinoma. You have ductal carcinoma in case breast cancer develops in the inner lining of milk ducts. You may develop a malignant tumor in these areas that can then spread to other parts of the body. What many people do not know is that breast cancer is not exclusive to women, as men can get it as well. Nevertheless, it is more common in women and is in fact the most common invasive cancer affecting females around the world. It is responsible for 18.2% of all cancer deaths around the world, which makes people wonder if breast cancer is curable. Let's find out more about it. However, many factors can affect the average survival rate. 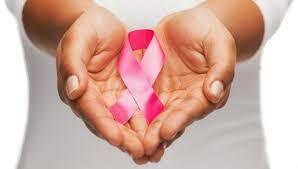 For instance, the 5-year survival rate goes up to 99% in case the cancer is located in the breast only. Only 61% of cases are usually diagnosed at this stage. The rate comes down to 85% if the cancer has spread to the lymph nodes. The rate falls down further to 26% if the cancer has developed to a distant body part. While the average survival rate depends heavily on the stage of your breast cancer, the availability of new treatment options has really helped make things better for sufferers. Many of these treatments help maintain a good quality of life. It is actually an unclear term, but refers to a stage when abnormal cells may have started developing. It also means that it has not yet turned into invasive breast cancer. Medically, DCIS (ductal carcinoma in situ) is considered stage 0 for breast cancer. At this stage, you have malignant cancer cells in the breast duct that have not spread beyond the duct. Even at this stage, you need treatment. Is breast cancer curable at this stage? Yes, DCIS is curable in 100% cases. You have stage-I breast cancer if a certain amount of it has spread outside of the duct lining but has not spread outside of the breast. Your tumor size also needs to be less than 2cm in diameter. Breast cancer is very much treatable if diagnosed before the tumor grows beyond 2cm. The 5-year survival rate for stage-I breast cancer is 99%, with local recurrence estimated at about 3% and distance recurrence estimated at 8%. After completing the treatment for stage-I breast cancer about 72% of women experience no recurrence for more than 15 years. You have stage-II breast cancer if the tumor is about 2cm in diameter but cancer cells have metastasized to the lymph nodes. It is considered stage-II cancer if the tumor is larger than 5cm in diameter, even if the cancer cells have not affected the lymph nodes. The 5-year survival rate for stage-II breast cancer is 82%, with a 16% rate of local recurrence. You have stage-III breast cancer if the tumor is larger than 5cm without any apparent metastasis. It is still considered stage-III if the tumor is 2cm-5cm in diameter with apparent metastasis. The survival rate usually depends on whether the tumor is removable or not. It is not always removable, especially when large tumors develop in muscle or attach to veins, arteries, or nerve trunks. If it is removable, the survival rate is around 60%. You have stage-IV breast cancer if there are signs of distant metastasis to other parts of your body, such as the bones, lungs, or liver. The long-term survival rate at this stage of cancer has always been on the lower side, no more than 20% in most cases, but strategic combination of chemotherapy can take it to 50% in some cases. Limit your intake of alcohol. Excessive drinking increases your risk of developing breast cancer. Ensure that you do not have more than one drink per day. Quit smoking. You should stop smoking if you want to prevent breast cancer. Research shows that there is a link between breast cancer risk and smoking, especially in premenopausal women. Keep your weight in check. Being obese or overweight puts you at an increased risk of developing breast cancer. You are more likely to experience the problem if you gain weight later in life. Have an active lifestyle. You should exercise regularly and keep yourself active. Ensure that you engage in moderate aerobic activity for at least 150 minutes a week. Strength training twice a week will also help. Breast-feed your baby. Research shows that breast-feeding helps lower your risk of cancer. The longer you breast-feed, the better. Take hormone therapy carefully. You are at increased risk of developing breast cancer if you take combination hormone therapy for longer than 3-5 years. You can find other options, especially if your therapy is to help deal with your menopausal symptoms. If you really have to go for hormone therapy, be sure to use the lowest dose. Limit exposure to environmental pollution. You should avoid exposure to radiation produced by medical-imaging methods, such as CT (computerized tomography). Have these tests only when you really need it. Stick to a balanced diet. Eating all the right stuff helps improve your overall health and lowers risk of diabetes, heart disease, and cancer, then you don't have to worry about "Is breast cancer curable?" You may want to include more vegetables in your diet as well as legumes, whole grains, and nuts. Also, opt for healthy fats, like olive oil. Replace red meat with fish for cancer prevention.